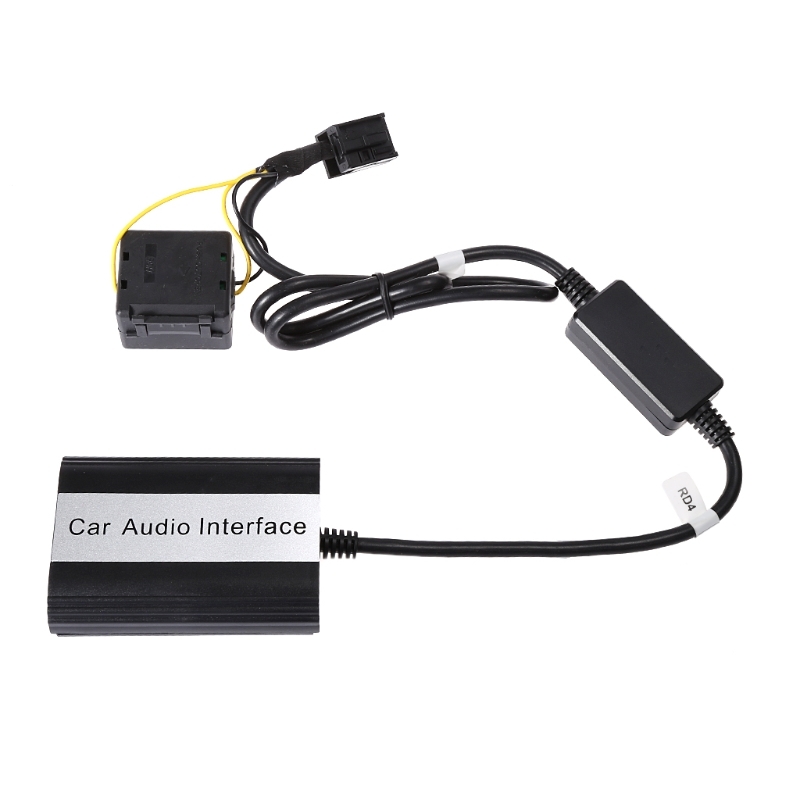 APPS2Car Bluetooth Interface car kits (BTI) is a great solution for the car not equipped with OEM Bluetooth system. It provides a simple hands-free solution for phone calls answering and receiving while driving, and music streaming from your smartphone, tablet or other Bluetooth capable devices through car stereo system. So BTI will make your driving convenient and safe. (2) Hands-free Phone Call (HFP): Easy to Answer / Hang Up / Reject / Re-dial via car radio buttons, steering wheel buttons or remote control box. (3) Wireless Music Playback (A2DP, AVRCP): Easy to stream music of Bluetooth devices into factory car stereo system, also cozy to control music via car radio buttons steering wheel buttons or remote control box. (4) Enhanced USB Function: Charge your phone when playing music, no worry about phone power off along your journey. Also support play music from USB stick or SD card with USB card reader. (5) Support 3.5 mm AUX Input: Standard 3.5 mm AUX input, you can enjoy music from all AUX possible device, like MP3 player, Mobile Phone, PSP, MP4, etc. (6) Plug & Play: Installed via OEM CD changer port, integrated with the car. - Fiat/Alfa/Lancia with OEM RD4 radios may be supported too. - AUX port only support audio input. Not support control from steering wheel and radio panel. - NOT compatible with Siemens VDO radio, Continental radio. 1. All folders saved in USB are regarded as in one folder. That means we cannot change folders, but we can change tracks. *This adapter focus on the Bluetooth function. If you want to arrange well the music in USB stick, then the adapter CMI is recommended, which can recognize up to 99 folders in USB. 2. It needs to choose mode CD1-1 (some displays CD1 - TR1) to select the adapter. That\'s to say, if you\'re listening radios in mode FM/AM, the adapter is not working (needs to be in mode CD1-1). 2) the cd changer port to check the pinout. *The shipping speed of Ordinary air mail is the same with Registered air mail. It just doesn\'t have tracking information aboard, but it has tracking information within China. - Please kindly check the compatibility list and make sure your CD radio\'s mark and model is included in the list. Incompatibility due to the your radio model not listed in the table, no refund will be issued unless returning the product, in original package. And the cost of return will be assumed by the buyer. - For the efficient support, please kindly help taking some photos or a video to send us, we will follow it up with our engineer for you. - You have 7 days to contact us and 30 days to return it from the date it was received. If this item is in your possession for more than 7 days, it is considered used and WE WILL NOT ISSUE YOU A REFUND OR REPLACEMENT. There are NO EXCEPTIONS! Shipping cost is bear by both seller and buyer in half. - All returned items MUST BE in the original packaging and you MUST PROVIDE us with the shipping tracking number, specific reason for the return. - We will refund upon receipt of the item in its original condition and packaging with all components and accessories included. - If you are unsatisfied with our item or service, please contact us before leaving any feedback. We are committed to resolve all issues in a friendly and satisfactory manner. - We always reply to messages within 2 business days (off-duty at weekend). If you do not get a response from us, then please kindly check your junk or spam mailbox.